Blue Fairy Door for Gypsy Fairy Gardens. 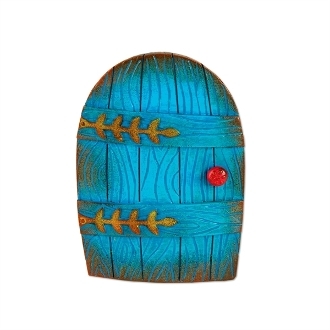 Full Description: This brightly colored blue door is a magical addition to any fairy garden. Hang it on a tree with windows on either side to complete the look! Just add some imagination and watch your mini garden come alive!